The Hyundai i20 ranks 10th in Northern Ireland. Thanks to SMMT, now that we have explored the UK market as a whole for January, as is the tradition on BSCB we zoom in on the British nations and this month England (+8%) lifs the entire country with Wales (+2%), Scotland (-1%) and Northern Ireland (-5%) all under performing vs. the national average of +7%. #1 nationally, the Ford Fiesta tops 3 out of 4 nations in January: England, Northern Ireland and Wales, missing the top spot by 71 units in Scotland where it is outsold by the Vauxhall Corsa. The Nissan Qashqai does even better in England than nationally, up to #3 there, as does the Mercedes C-Class up to #6. 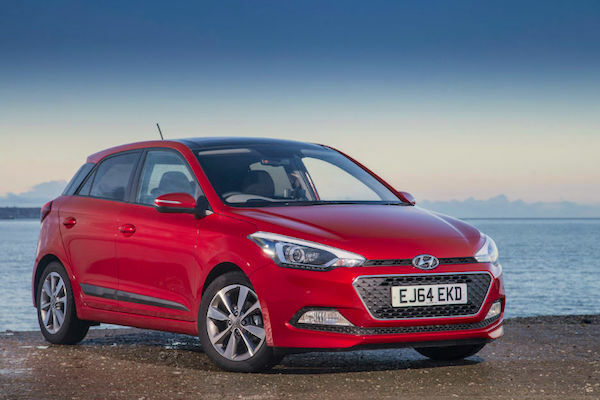 Lots of movement in Northern Ireland where the Seat Ibiza is up to #7, the Hyundai ix35 up to #8 and the Hyundai i20 cracks its first Top 10 for the new generation at #10. Excellent performance of the Fiat 500 in Scotland: it lands on the podium at #3 while the Audi A3 is up to an unusually high 5th place and the Dacia Sandero is back in the Scottish Top 10 at #6. 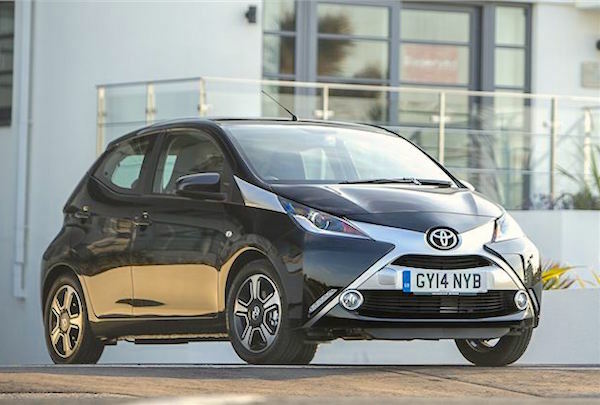 Notice also the Toyota Aygo up to #7 in Wales. The Vauxhall Mokka demonstrates remarkable consistency by ranking inside the Top 10 in 3 nations: Northern Ireland (#6), Scotland (#10) and Wales (#6). 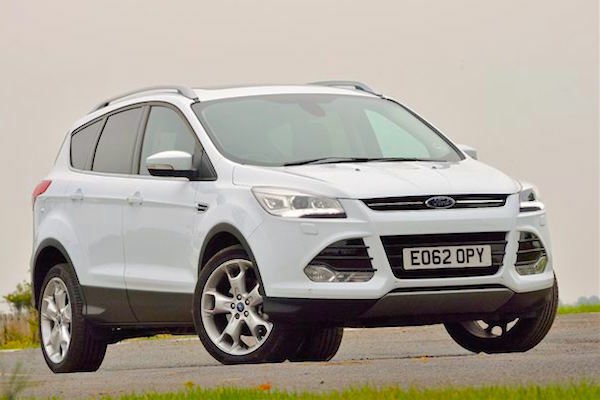 The success of the Ford Kuga is spreading: #4 in Wales and now lodging its first Top 10 in Northern Ireland at #9. Full January 2015 Top 10 models Ranking Tables below.